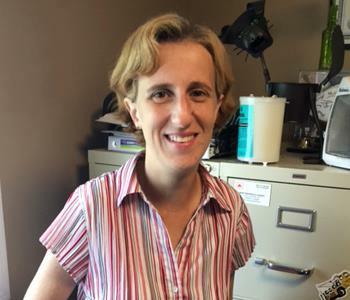 Sarah Fisher is the Office Manager of SERVPRO of Matteson-Homewood and has been part of our family since 2009. She is certified in the Corporate Drybook Program and Water Removal. Her production experience enhances her job performance in auditing workloads for timetables and required documentation. She leads her staff by example in customer relations and just as easily communicates with all franchise personnel. Sarah helps with budgeting and is well-versed in implementing our full array of software to maximize our efficiency and results. 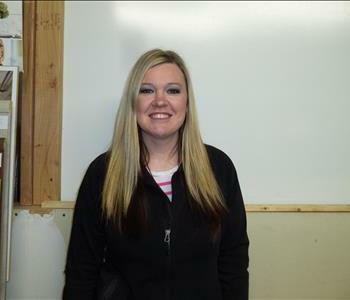 Sarah enjoys fishing (why not with a name like "Fisher"), cookouts, and camping with her boys and dogs. 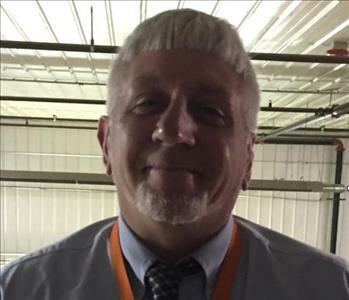 Greg Stewart has been the SERVPRO of Matteson-Homewood Sales & Marketing Manager since 2012. He developed and adapted his marketing skills for SERVPRO using SERVPRO's Employee Certification Training Program. He matriculated from Michigan State University with a Bachelor of Science degree in Environmental and Natural Resource Policy Studies. Since then he spent time working in Asbestos Abatement and Effluent Waste Water Sampling and Testing. 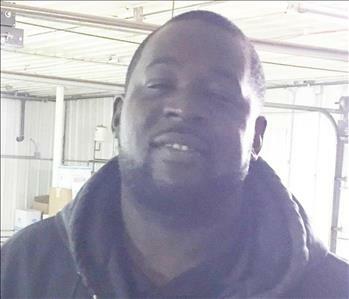 He was also a Production Supervisor in the Paint Shop at the Ford Motor Company St. Louis Assembly Plant and was a co-owner of a Lean Manufacturing Consulting company. 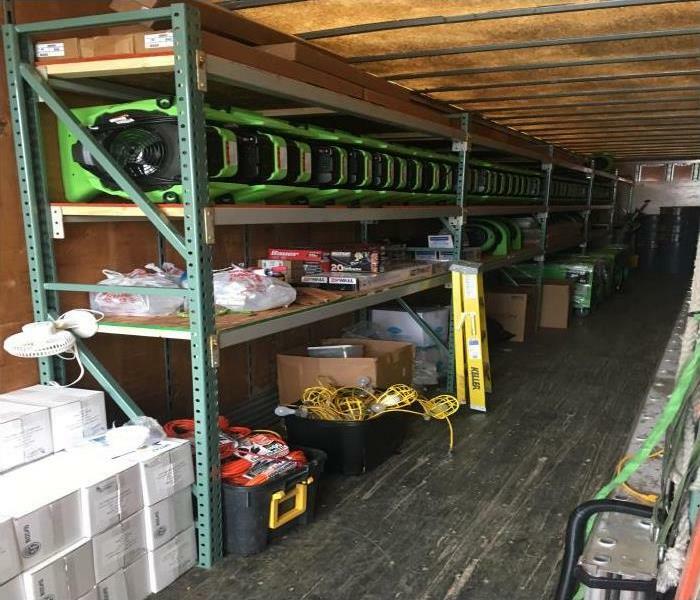 He is committed to community involvement, and the success SERVPRO of Matteson-Homewood is a testament to the effectiveness of the sales team under Greg's leadership. He leads by example, having attained a top 3 finish in SERVPRO's National Sales and Leadership Council in 2014. Errine Ferrias is the Human Resources Manager at SERVPRO of Matteson-Homewood. She is responsible for the franchise to follow the laws of the land and keep in compliance with all aspects of labor laws. Errine is instrumental in recruiting and hiring new personnel. She is delighted to work in such a caring and friendly work environment where the office staff and the production crews go the extra mile to help our customers in their time of need. Errine is a new mother and spends time with her family as she still keeps trying to win her Fantasy Football League. Eric Gill focuses on customer satisfaction with his communication skills. 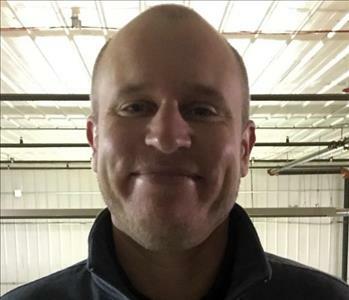 As a Crew Leader, he is also certified in mold remediation as an Applied Microbial Remediation Technician (AMRT) and as a Water Damage Restoration Technician (WRT.) Eric's hobbies include garage saling, flea market searching, and naturally spending time with his family. 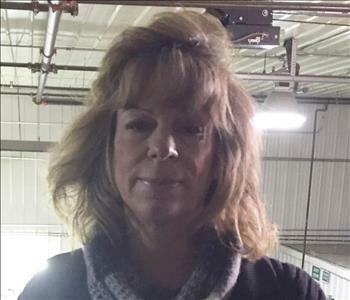 Joanne Mutter is one of our Sales & Marketing Reps at SERVPRO of Matteson-Homewood. She has been focusing on enhanced community relationships with the local business and civic organizations. She is detail oriented, and we expect great things from her. She loves a challenge, and there are new ones every day. Strong report with customers and contacts assure good results from our rep who loves to garden and listen to disco music. Justin Jackson is SERVPRO's go to guy for carpet cleaning (CCT) for residential and commercial jobs. He also is certified as an AMRT--Applied Microbial Remediation Technician--and can restore a structure to a safe and sanitary condition. Justin has a daughter and a very special dog that he devotes a lot of time to even as they watch movies. He claims his hobby is eating great food. Please, Justin, don't spill any food on the carpet! 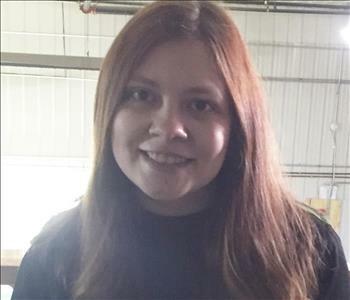 Kailie Bonds is a production team member at SERVPRO. She has many years of experience in our local communities and will be a great asset as she develops her skills in the restoration business. 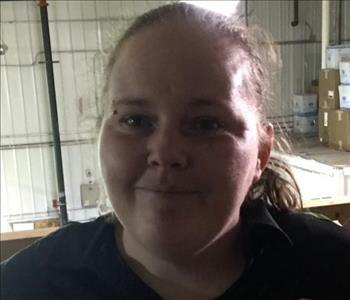 She loves the idea of helping people in stressful times because of fire or water damage. She is a hard worker with genuine concern for people. 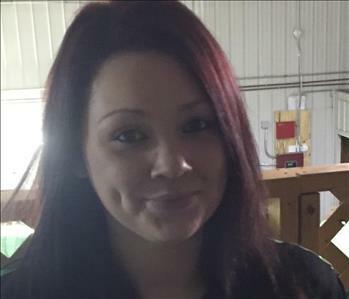 When Kailie is at home in Bradley, she loves to play with her two daughters. 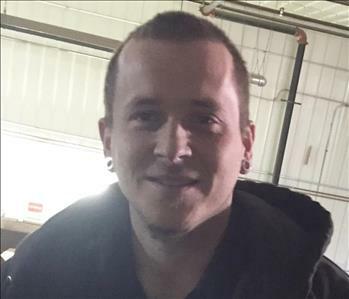 Kellen Steele is on the Production Crew at SERVPRO, and he is known for working long and hard into the night. He has a great work ethic and leads by example. His favorite part of the job is using his hands and equipment to restore water and fire damaged items to pre-loss condition. He strives for more IICRC certifications and still finds time to spend with his two and four-year-old sons. 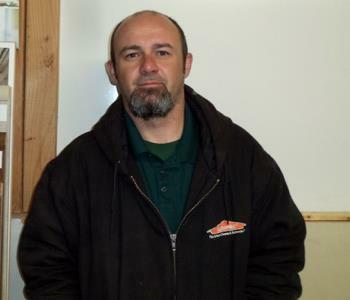 Kevin Hoffner is a Construction Supervisor at SERVPRO of Matteson-Homewood and has been with us for a number of years. 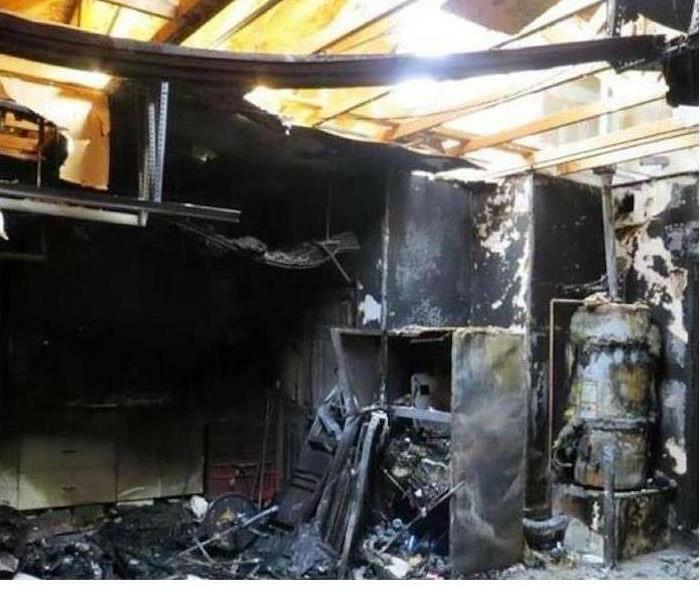 He has extensive experience in the construction industry and can demolish or reconstruct any rebuilds to get our customer's home back to pre-water or fire damage condition. He leaves behind satisfied customers, which is our primary goal. Kevin enjoys fishing and playing football, not unusual for a Kankakee resident. Lynda Novak is a Cleaning Specialist with SERVPRO of Matteson-Homewood for a number of years. She is experienced in pack-out of customer contents for wet or dry cleaning at our state of the art cleaning facility. She will then assist to return and reset the cleaned items in our customer's home or workplace. 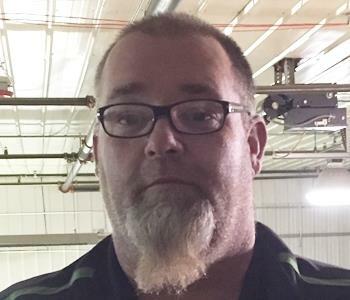 Brian Hoffner is one of our Construction Crew members at SERVPRO of Matteson-Homewood. Brian has an extensive background in the construction industry. His experience includes installing and fabricating countertops, carpet, tile, laminate, and hardwood. His expertise also includes hanging doors, drywall, woodworking, trim, and painting. Chris Denoyer has been with SERVPRO of Matteson-Homewood since 2013. Chris says the best part about working at SERVPRO is getting the opportunity to meet numerous people, and that every day is a different scenario. When Chris isn't busy at the office, his favorite pastime is to spend time with his daughter and to go fishing. 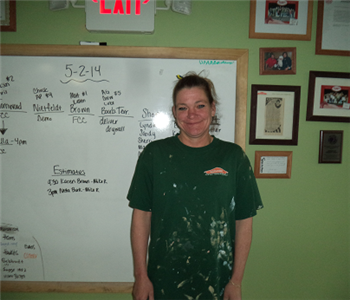 Dawn Palmer is a part of the Construction Crew and the Painting Manager at our SERVPRO of Matteson-Homewood office. She also helps with storm, fire, and disaster mitigation and does an outstanding job as the on-site Quality Inspector. She has a great deal of experience in painting and is an excellent asset the team. Besides having a great work ethic, Dawn also brings a woman's touch and eye for detail that is unique. She has been with SERVPRO since 2012 and was one of the first employees at our office to head off our division of rebuilds. When not in the office, Dawn enjoys playing computer bowling, pinball, cooking, and spending time with coworkers and friends. She also loves helping other with painting projects. Adam Goodman has been the Production Manager at SERVPRO of Matteson-Homewood since June 2012. His responsibilities at SERVPRO include making sure that the day to day operations are running smoothly, instructing our crew members of what jobs they will be doing that day, and going to customers’ homes or businesses to do estimates. Adam is certified in our Drybook Program and Water Mitigation. 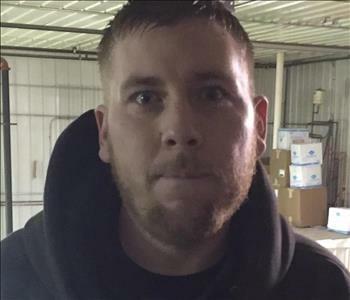 Since Adam has started working at SERVPRO, he has been a valued member of our storm team. During his free time, Adam's hobbies include playing adult softball and coaching youth sports. At SERVPRO of Matteson-Homewood, Andrea Ehmen has been a valuable addition in the sales and marketing department. Working with the SERVPRO teams and the companies that we help has been the best part of Andrea's job. She enjoys being not just coworkers but family. One of Andrea's hobbies is photography. For her, capturing a moment in time is not just therapeutic but an adventure. Since 2014, Bill Wilczynski has been the Sales and Marketing Representative at SERVPRO of Matteson-Homewood. He currently resides in Ashkum, Illinois but hails from Chicago. In the Commercial Insurance in the Property and Casualty arena, Bill has over 30 years of experience. Prior to working at SERVPRO, he used his knowledge underwriting major corporations for Insurance Carriers domiciled in North America and Lloyds of London. Also, he was a Surplus Lines Broker on complex Fortune 1000 Companies for Willis, Marsh, and AON. Bill's extensive knowledge of risk management is an important resource for our clients. Graduating from Universidade de Santiago de Compostela, Espana, and Quincy University, he majored in Roman History and Linguistics. 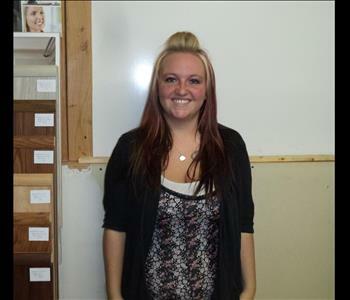 Shelbie Collett is our SERVPRO of Matteson-Homewood Administrative Assistant. She is a local product who loves to help her fellow workers. She is very keen on customer service with excellent phone and email skills and does a precise job of scheduling the workloads on a daily basis. Being strong with numbers helps her to keep all aspects of production smooth flowing from accounting to petty cash. Shelbie is a published poet and still finds time to go boating on the river with the people that mean the most of her. And she is a huge car enthusiast. 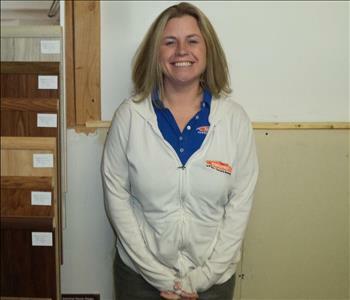 Traci Gill is one of our SERVPRO of Matteson-Homewood Production Managers. She has been certified in Fire & Smoke Damage Restoration, Water Damage Restoration and Mold Remediation. With her corporate ETCP, Employee Training Certification Program, she is a leader in developing our technicians and offering the best possible service to our customers. She is gratified to see happy customers back in their homes. Traci enjoys DIY projects and singing when she is outside of work. 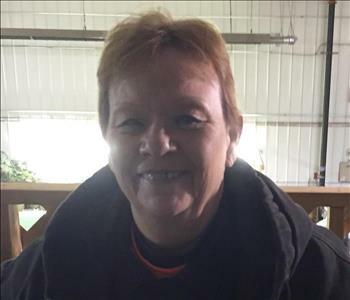 Sandy Berry is a cleaning specialist for SERVPRO of Matteson-Homewood and has been pleasing customers since 2012. Between her junior and senior years of high school, she did super good work for us, and we were delighted when she decided to come back to work for us full-time upon graduating. She is very responsive to our customers' needs and loves to work in their homes, especially if animals are present. Sandy is also getting her house in order as she prepares for her first child that is due in several weeks. Good luck, Sandy. 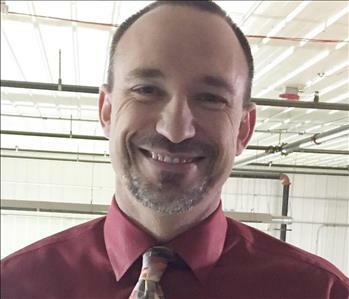 At SERVPRO of Matteson-Homewood Mike Randolph is the Operations Manager with over nine years of experience. Mike is IICRC certified in Microbial Remediation, Water Damage Restoration, Fire and Smoke Damage Restoration. He also has certification in Painting, Lead Safety for Renovation, and Repair. When he is not working, Mike enjoys being with friends and family, barbecuing, and playing golf. He was born in the San Francisco Bay Area. Also, in his thirty-eight years, he has lived in eight states. 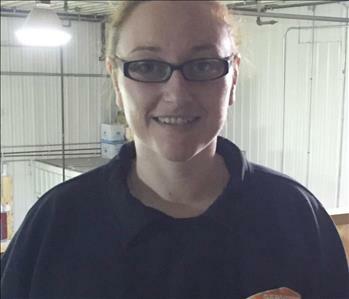 For the past two years, Nichole Stump has been part of the Production Crew at SERVPRO of Matteson-Homewood. Being part of the Production Crew some of her duties are demos, upholstery cleaning, pack outs, and cleanings. Nichole is from Kankakee, IL. When she is not working, Nichole likes taking her children to the park. 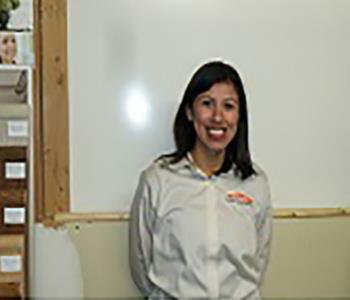 At SERVPRO of Matteson-Homewood Mary Arellano is the Construction Project Manager and she also helps to grow our Large Loss Disaster Recovery Division. For the past two years, she has been working in the marketing division to help build our Matteson-Homewood franchise. Everyday Mary gets to help families and business owners get their lives back after a disaster. Prior to SERVPRO, her previous employment includes Wagner’s LLC, Production Manager at the Target Distribution Center, and the Army National Guard (31R Communication). Mary graduated from Morgan Park High School and Kaplan University. She is a mother of three wonderful and loving children. 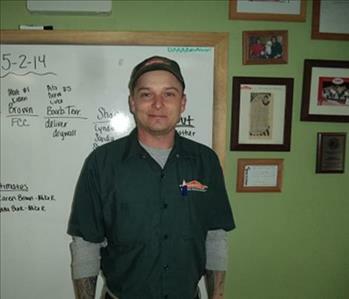 Nick Stump is a part of the SERVPRO of Matteson-Homewood Construction Crew. He joined our SERVPRO team in 2015 and brings nearly 15 years of experience in construction/restoration. Nick currently resides in in the city of Kankakee, Illinois. His favorite hobbies include playing and watching sports and playing video games. His favorite sports are Baseball, basketball, and football. Rob Friend is SERVPRO of Matteson-Homewood's flooring manager. Rob has an extensive background in flooring sales of installation which includes over 20 years in the field. He has been with our company since 2009. For water, fire or mold damage, we can help. Ryan Zhe has been working for SERVPRO of Matteson-Homewood for four months. His favorite part about working for our company is that no two jobs are ever the same. He comes to work every day, dealing with a new situation and helping different people. When Ryan isn't in the office, he plays video games.